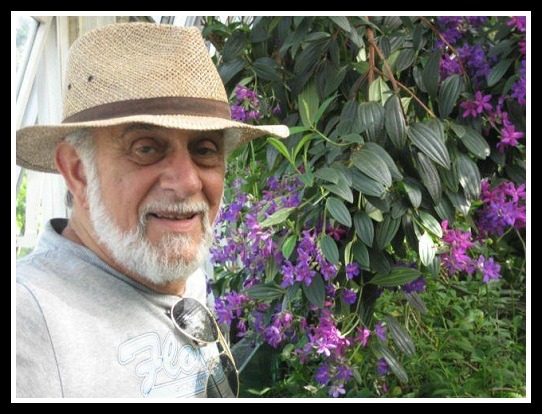 THIS PAGE IS DEDICATED TO JOE ZARRO AND HIS WIFE DANA, I NEVER HAD THE PLEASURE OF MEETING JOE WHO HAS PASSED, BUT HAVE NEVER HEARD ANYTHING BUT GREAT STORIES. HE & AND DANA PUT TOGETHER A COLLECTION NOTHING LESS THAN IMPRESSIVE. I PICKED A FEW THAT DANA HAD PUT UP ON HER FACEBOOK PAGE AND SHE CONTINUE TO ADD WHEN SHE CAN. 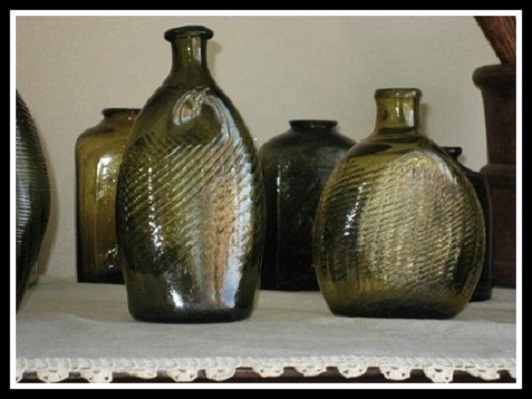 I CAN ONLY IMAGINE THE GREAT MEMORIES AND STORIES THAT DANA HOLDS OF THE BOTTLE COLLECTING ICON THAT WAS JOE ZARRO. 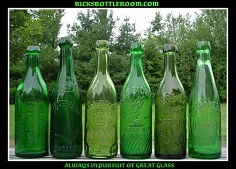 THE BOTTLE COLLECTING COMMUNITY IS BETTER BECAUSE OF JOE AND HE WILL MISSED BY ALL WHO HAD THE PLEASURE OF KNOWING HIM. 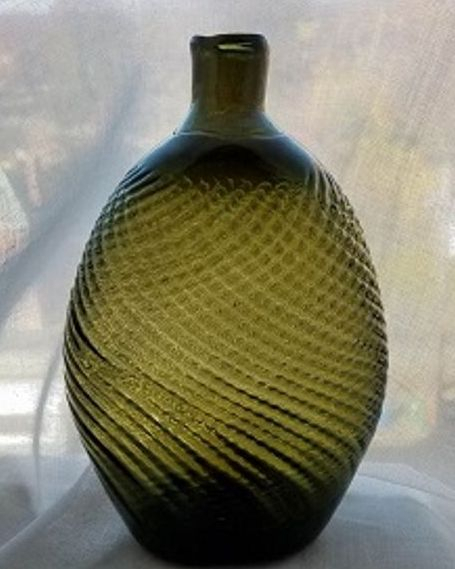 THANK YOU DANA FOR ALLOWING ME TO SHARE SOME OF HIS LEGACY HERE.~ OTHER COLLECTORS SUCH AS RICK CIRALLI HAVE BEEN GRACIUOS ENOUGH TO ALLOW ME TO SHARE SOME OF THEIR GREAT PITKIN PIECES AND THOSE ARE LABELED AS SUCH. THANKS EVERYBODY. Manchester (then the Orford Parish of East Hartford) on the Pitkin farm, now on the corner of Putnam and Parker Streets. 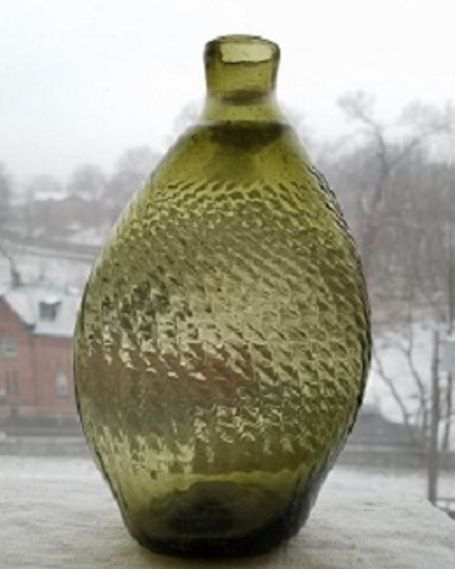 Remaining in operation until about 1830, the factory produced demijohns for the West Indian trade, and bottles, flasks, inkwells and other small items, mostly in shades of green. These were considered to be the best color and design in the country. 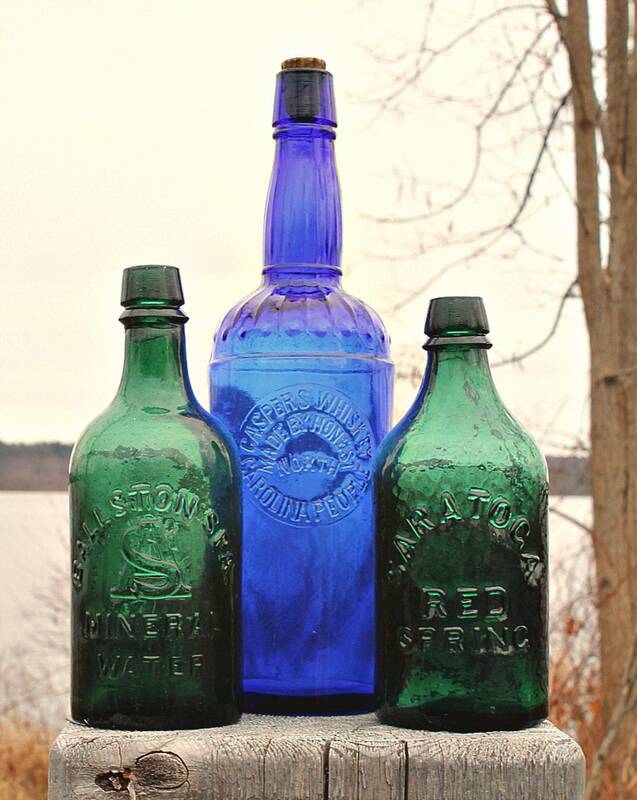 Rare today, Pitkin flasks have brought tens of thousands of dollars at auctions. It is not known why the factory was closed down. Perhaps it was because of the cost of transporting sand from New Jersey, or because the firewood supply was decreasing with the growth of farming in the area. 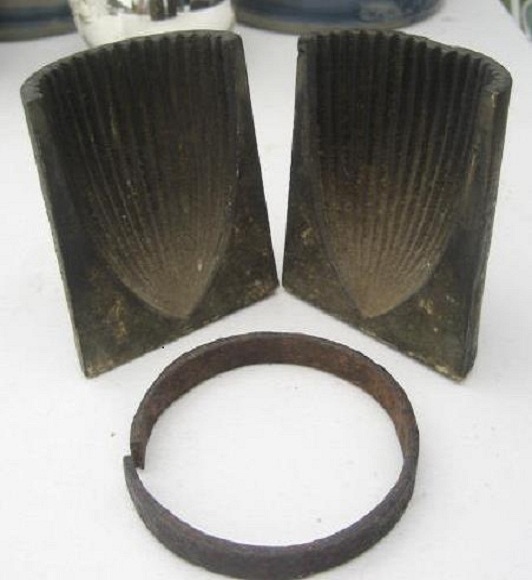 There may have been poor management, or increasing competition from other factories once the monopoly expired. Gradually, the massive stone building fell into disrepair. 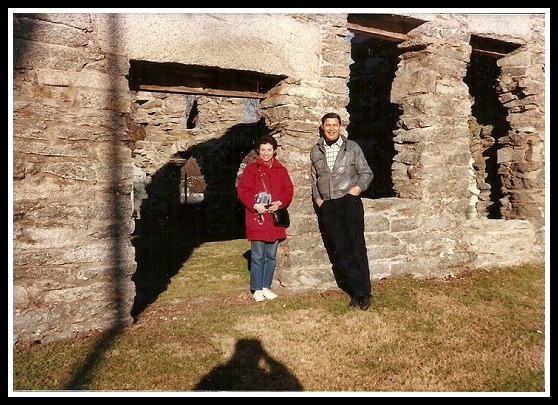 In 1928, Mr. And Mrs. Fred W. Pitkin and others of the Horace Pitkin family quit-claimed the property to the Orford Parish Chapter of the Daughters of the American Revolution. Finding the cost of maintenance a burden, a suggestion was made in 1977 that it be sold for commercial purposes. 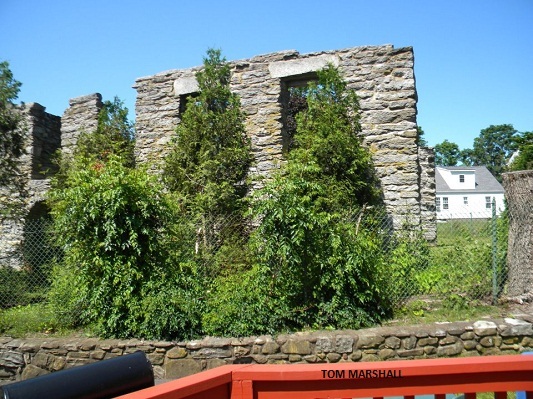 A group of interested citizens, led by Mr. Edson Bailey, protested this possibility, and formed a committee to preserve this historic site for the community. 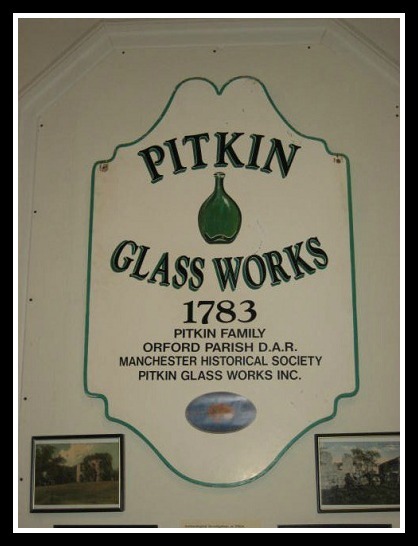 Pitkin Glass Works BottlePitkin Glass Works Inc. (the Corporation) was organized, with executive officers, and five representatives from the Orford Parish Chapter of the Daughters of the American Revolution; five representatives from the Manchester Historical Society, Inc.; and five representatives from the citizenry at large. Papers were filed for incorporation, and by-laws were drawn up. 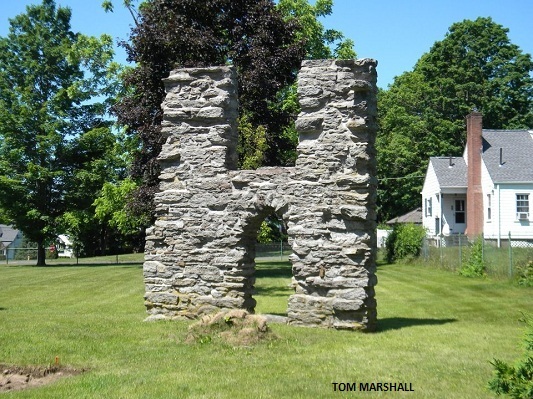 The site was approved for inclusion on the National Register of Historic Places. Since then, the Corporation has overseen the landscaping of the area, and installed a flagpole with a flag that has flown over our national capitol. 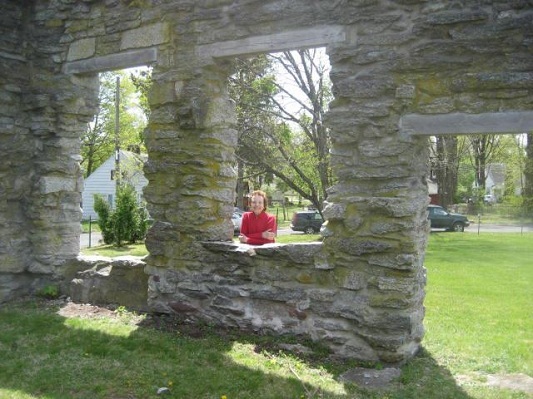 The monumental stone ruins have been stabilized by repointing the stonework and replacing the wood lintels. 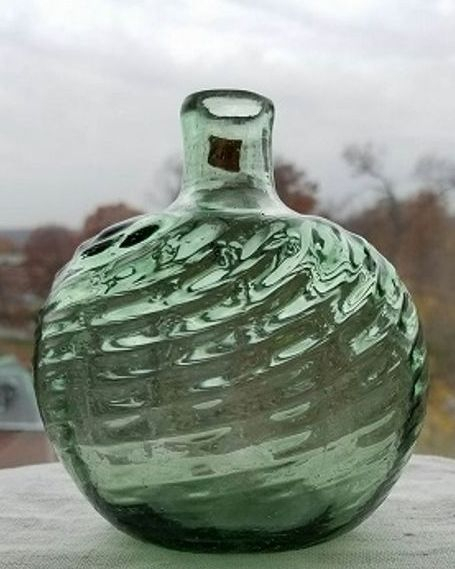 In the 1980s, students from Central Connecticut State University made a preliminary archaeological dig, but only shards of glass and pottery were found. 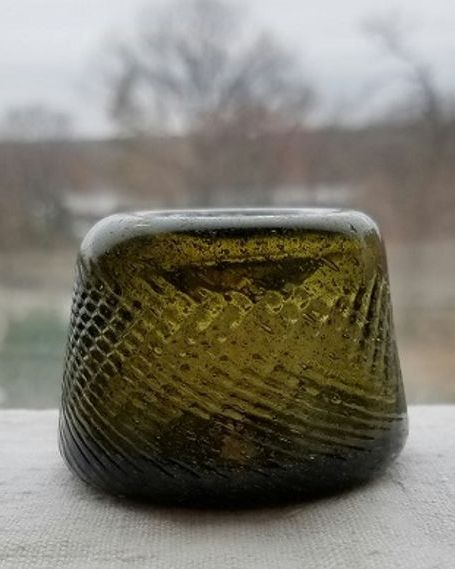 In recent years, several archaeological digs have been carried out by middle school, high school and university students under the direction of the state archaeologist. 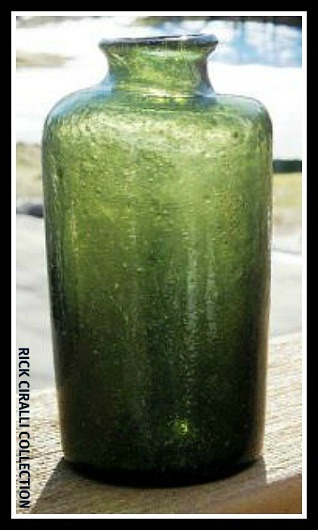 Numerous pieces of bottles, flasks and inkwells have been discovered and cataloged. 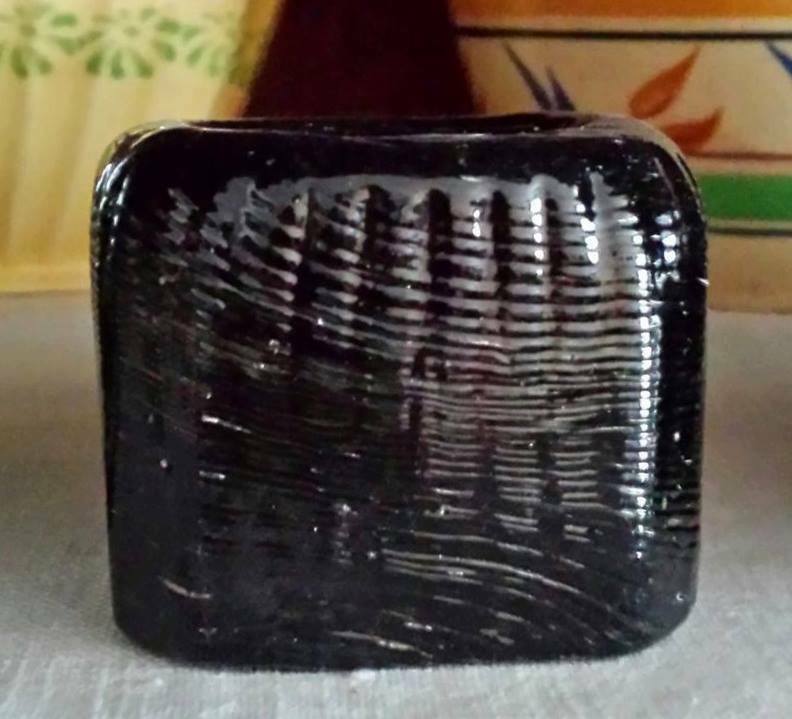 The fragments have confirmed the characteristics of the products made here. 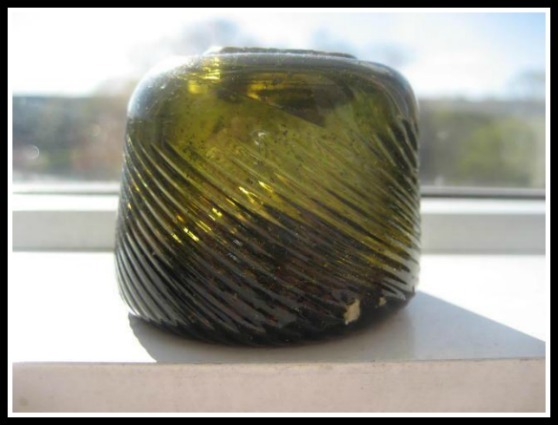 All the funds to support the work of the Corporation have been raised by the generosity of private benefactors, or through the sale of replicas of a Pitkin flask and an inkwell, and pendants made from fragments of glass. 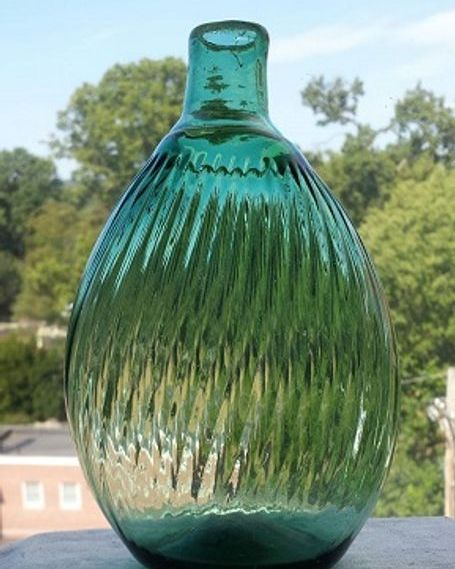 An illustrated hard-cover book by Dr. William E. Buckley, "A History of the Pitkin Glass Works," has also been published. The Corporation remains active, carrying out its mandate to maintain and preserve this part of our heritage for future generations. 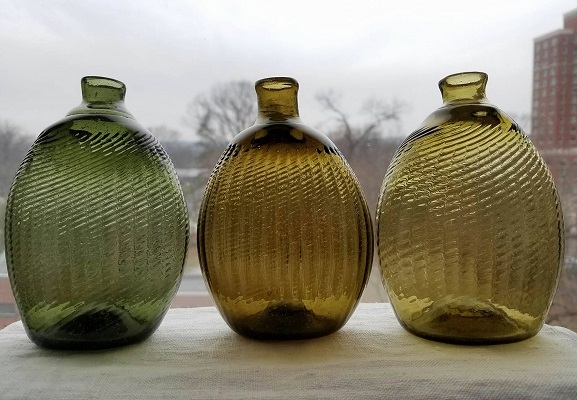 Connecticut's first successful glassworks was formed by William Pitkin, his cousin Elisha pitkin and Samuel Bishop and they were granted a 25 year exclusive privelage from the states general assembly to produce all types of glass. 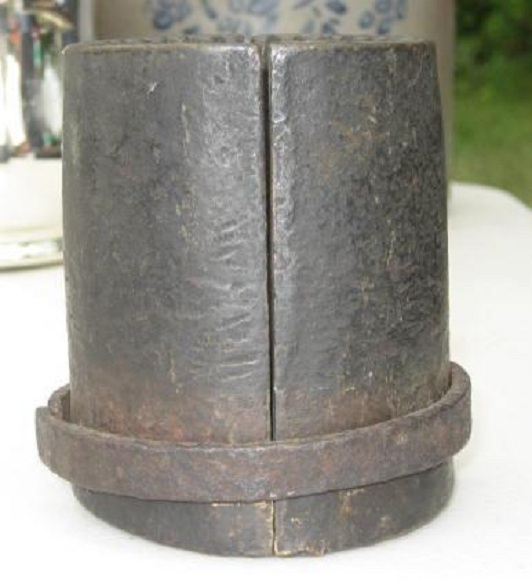 The Pitkin family was large, old and influential with many land holdings in pre-and-post revolutinary pies including guns, gunpowder, textiles, flour, iron, silver, tobacco and snuff. 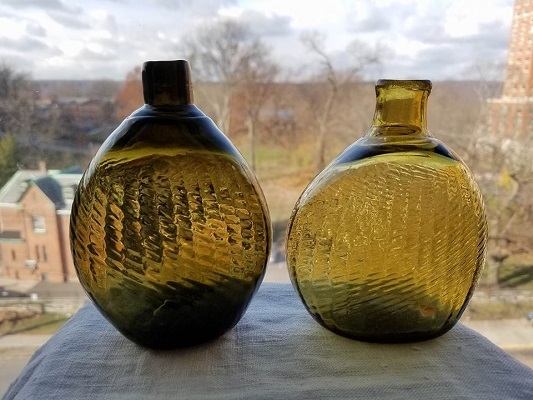 Two of the names of former superintendents and managers are Robert Hewes of the Temple glassworks fame in New Hampshire and John P. Foster, whose initials are embossed and appear on an inkwell and a figured flask GII-57. 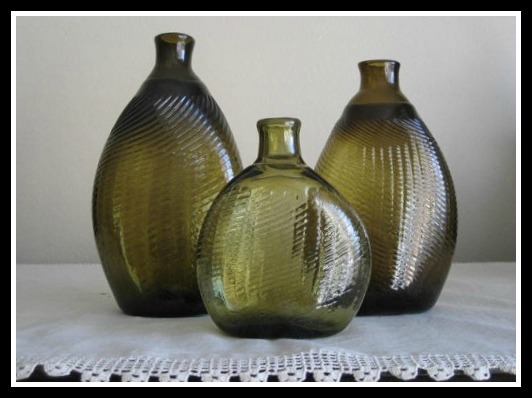 The glassworks has always been considered a bottle glasshouse of which commercial products blown there consisted of chestnuts, demijohns, utilities, snuffs, globular bottles and tableware like pitchers, creamers, bowls & pans. 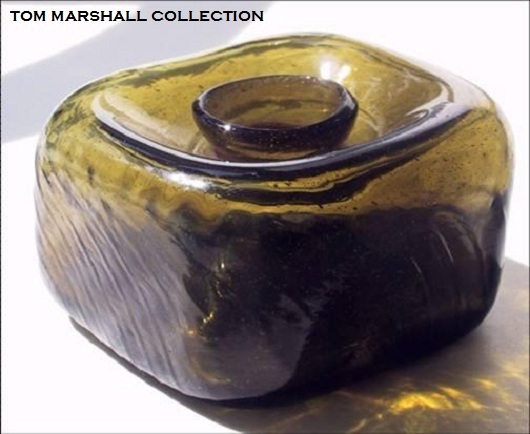 The most popular and recognizable wares were the inkwells and molded flasks blown in the german half-post method consisting of ribs & swirls. 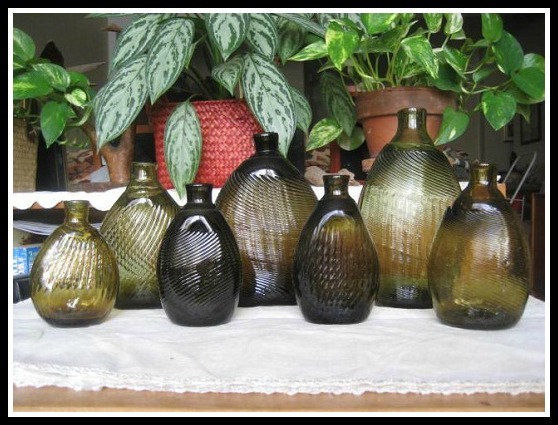 The figured flasks and sunburst flasks are all prized by collectors with some extreme rarities. 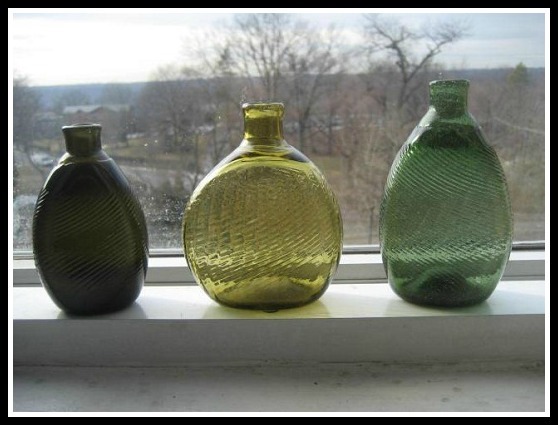 We do know window glass and clock faces were also manufactured there in the early years. 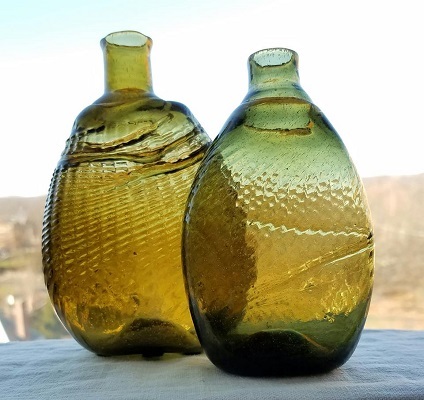 The Pitkin colors are yellow-amber, olive-amber, olive-yellow, yellow-olive, olive-green, yellow-green and a bluish to deep green. 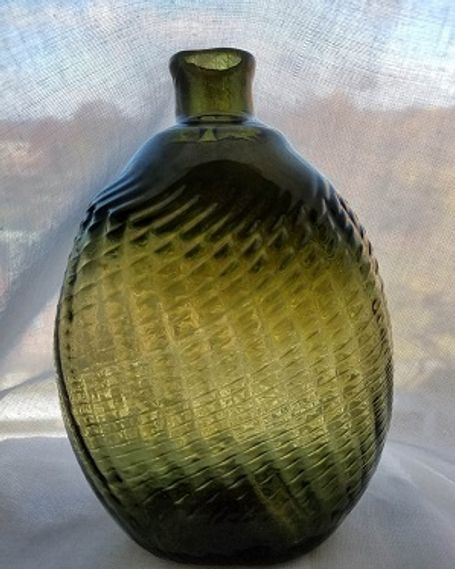 These are the New England "earthy" tones and were basically carried on in the future Connecticut glasshouses. 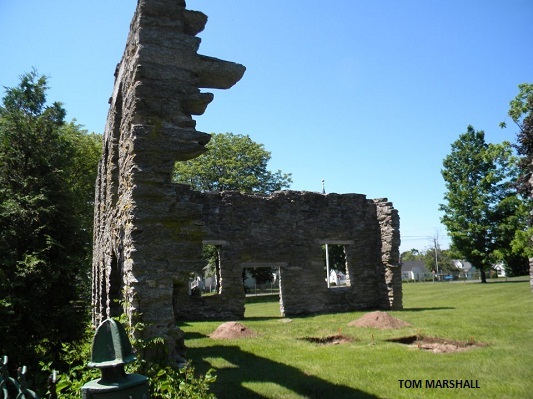 The site containing the romantic ruins of the glassworks is owned and managed by the Pitkin Glass Works Inc and professional excavations are conducted there on a regular basis. 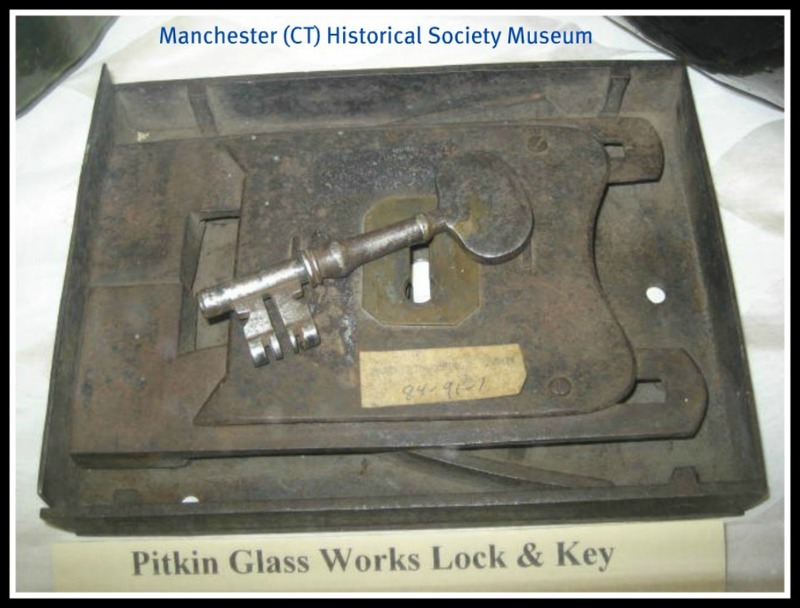 Some examples of Pitkin glass are on display at the Old Manchester Museum in Manchester, CT.
Pitkin-type flasks were made at several New England, Midwestern (Ohio), and Mid-Atlantic (NJ and PA) factories. 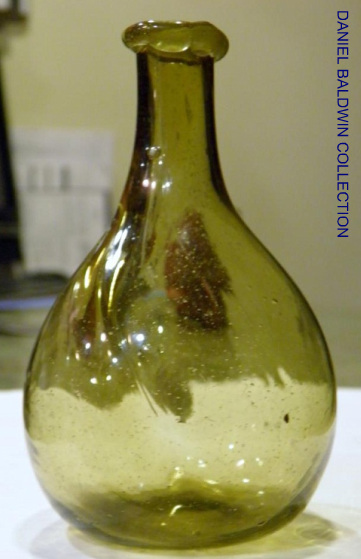 The name Pitkin has become a generic one for all flasks blown with a half-post. 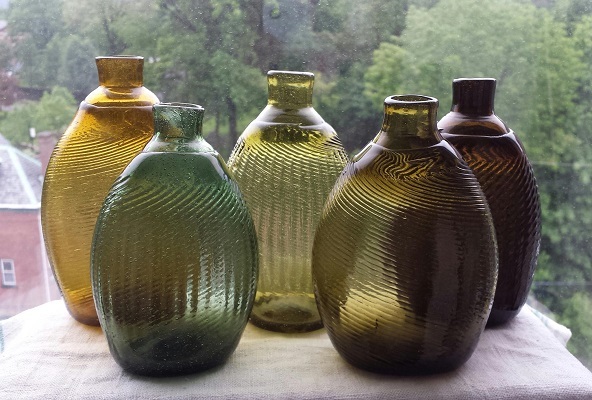 None of them were marked, so that it is about impossible to know what factory produced them, but those that were blown at Pitkin have certain characteristics to their glass and pontil scar. 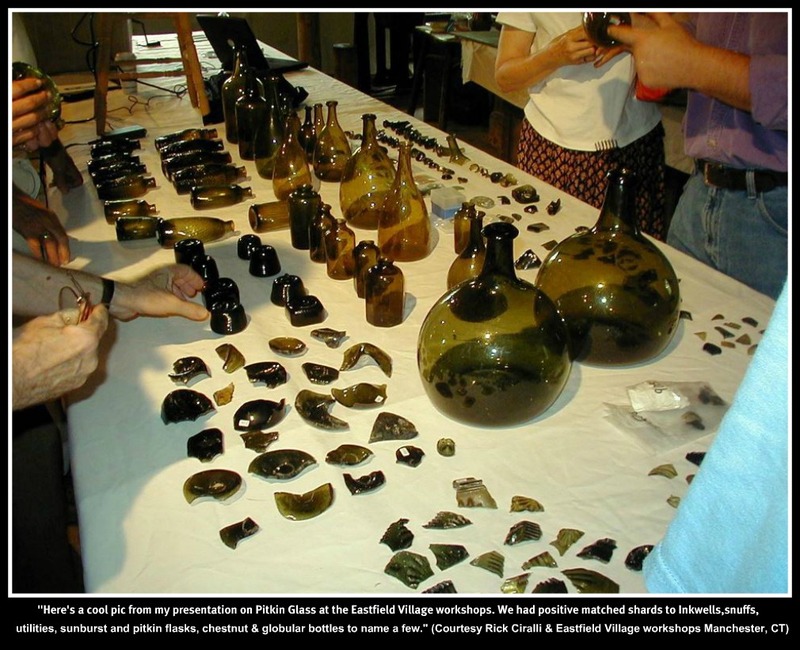 Dana was lucky enough to be chosen/invited to the Pitkin Glass works grounds for a controlled archeologist dig, she reported that they did find some shards and had a great day. 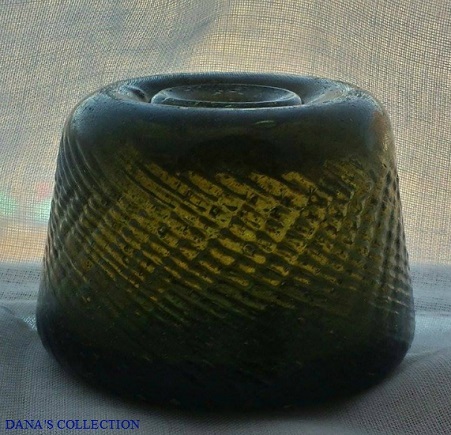 Dana writes: "A well-known dealer/collector acquired this awesome 36-rib pattern mold several years ago and brought it today to share with us. It's made of bronze but PURE GOLD!" 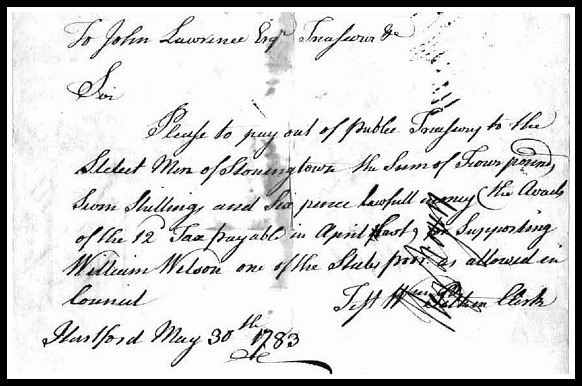 " To John Lawrence Esq...People to pay to Samuel Rigley of Wethersfield, the Sum of one pound, Eleven Shillings and Nine Pence...Lawful money for supporting and burying Patrick Irwin, one of the Colony's poor....signed by WILLIAM PITKIN Clerk....Hartford June the 7th 1776"
A DOCUMENT FROM THE RICK CIRALLI COLLECTION DATED THE YEAR THE PITKIN GLASS WORKS OPENED, 1783 AND SIGNED BY WILLIAM PITKIN. To John Lawrence Esqr Treasurer ..
Dana writes. Rick it's hard to see the half-post (second gather) in this photo,(on left) but this is another example of the glassblower somehow swirling the pattern both to the left and to the right. 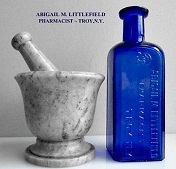 There are 5 known of the cross-swirled Pitkin flask but only one known of the inkwell. Done by masters! 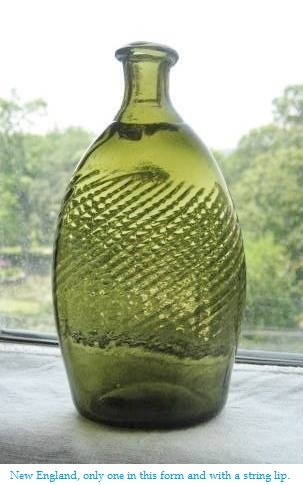 The mystery of these cross-swirls is how the glassblower did it without obliterating the swirls in the other direction. The memorial of Wm. 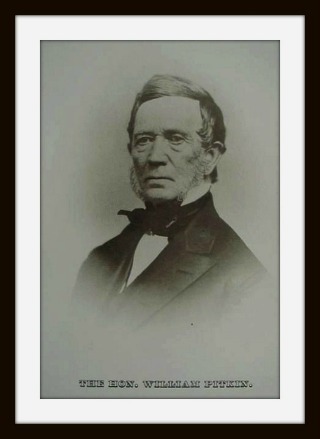 Pitkin, Samuel Bishop and Elisha Pitkin, humbly propose to your Honors? 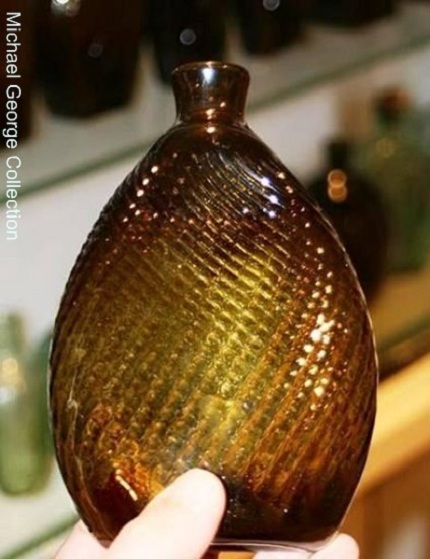 Whether manufacturing glass in this state will not be for the public emolument of the same; and if it be thought an object worthy the attention of your Honors, they will, if properly encouraged, erect works and pursue said business. Money out of the public treasury in this distressing day, we do not expect; but an exclusive right to such manufacture, such length of time as may be thought proper to save them the great expense that will be necessary in buildings, &c. for said purpose, &c. And if the proposal meets your Honors' approbation, we pray a committee to hear your memorialists in the premises, and report, or any other way, &c.
WM. PITKIN . ? : SAMUEL BISHOP. 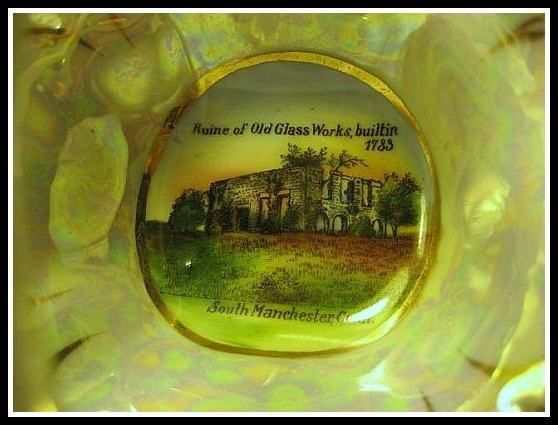 It will be a benefit to this state, to grant to the memorialists an exclusive right of manufacturing glass, for the term of 25 years, from and after the time they shall begin the first blast. 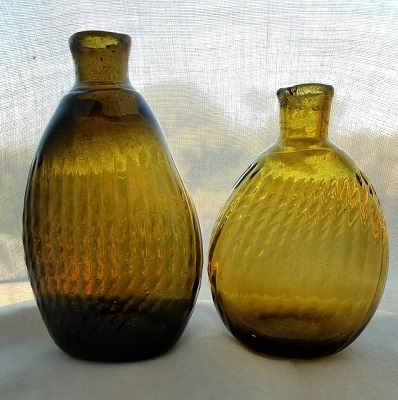 And that the memorialists ought to be exempted from all assessments on account of the profits which may arise by manufacturing glass for the term of 10 years, from the rising of this Assembly. Granted, on condition they begin manufacturing within three years. (Industry U. 180.) To the Honorable, tfc. Oct. i789. 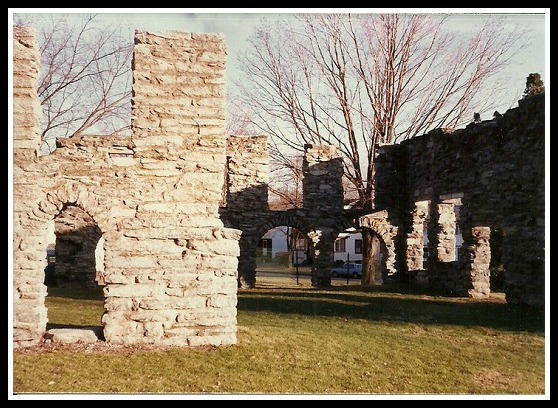 That your memorialists, conceiving that the erecting of glass works would be of public utility, and hoping they would prove to be of private advantage, have been at great expense in erecting buildings and furnaces, and providing materials, and procuring workmen for the purpose of establishing and carrying on a glass factory. That besides, &c, they have been subjected to great losses and disappointments, by means of one Robert Hughs of Boston, who entered into partnership with the memorialists, and engaged to furnish a large proportion of the stock for carrying on said factory ; and who having induced your memorialists to believe, that he was a «person well skilled in the aforesaid manufactory, was by them appointed and employed to superintend, and direct the business of their glass works; but the said Hughs utterly failed ©f furnishing stoek, and also proved by his subsequent eonduct, te be totally skilled in the business of said factory. And the memorialists weuld further represent to your- Honors, that the expense of carrying on said factory is greater than they expected, &c. That notwithstanding the aforesaid losses and disappointments, as the memorialists possess buildings, and have a considerable stock on hand, to be employed in said factory, they have proceeded to engage a number of workmen, and with such encouragement as might be afforded by the Legislature, without being burdensome to the public, they think they might prosecute their usdertaking with success. 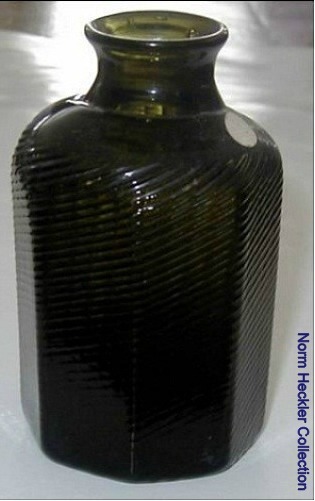 The memorialists, conceiving that the prosperity of the State is intimately connected with the introduction and improvement of manufactures, and that the making of glass is one of the most important manufactures that can be introduced among us, &c, pray your Honors to interpose and grant them a lottery for the purpose of raising the sum of £400, &c. ' GEORGE PITKIN, et. ah. PICTURE 1 Cross-swirled ink, unique at this time. 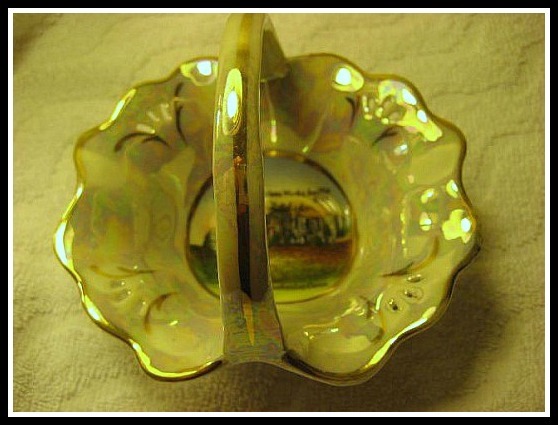 PICTURE 4 Cross-swirled New England Pitkin, one of 4 known. 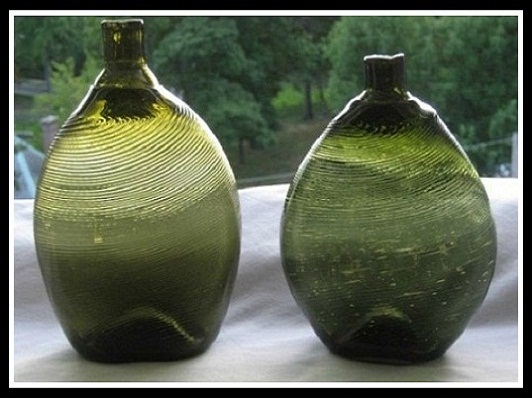 PICTURE 3 2 New England Pitkins in unusual colors and small size, 4-1/4" and 3-3/4"